Everyone knows that you’re not supposed to use your smart phone while driving, but that doesn’t mean there are not some amazing smart-phone apps that can make help you out on the road. 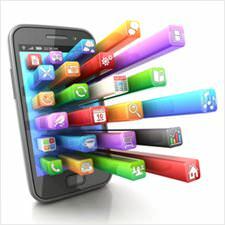 These days, technology is improving by the minute, and you now have a number of interesting apps to choose from. Some of them are even free! Using the loudspeaker on your smart phone is the only legal way to talk on the phone while driving. However, in order to answer a phone call, you would still have to look away from the road long enough to tap a button. This app eliminates that problem by automatically answering any phone calls you receive and putting the caller on speaker. It has a widget that you can easily turn on and off, making it simple to keep it on while driving and shut it off when you want more control over screening your calls. If you’re a young driver, you may have yet to experience the embarrassment and stress of losing your car in a huge parking lot. It may seem like this is something that could never happen to you, but you would be surprised how easily you could forget where you parked. This free app uses GPS to mark the location of your car and help you find your way back to it. HERE Drive is a free app that works on any Windows Phone. It gives you the ability to download maps for any country in the world and save them to your phone so that you can have a GPS system even when you don’t have Internet access. It offers detailed directions that will help you find your way, and you can even set an alarm that will alert you when you go above the speed limit. Many parents use this app to keep an eye on their teenagers, but it can be an excellent tool for a young adult as well. It works by creating an ongoing log of your speed and location and exporting this information to a spreadsheet. Not only can it be used to examine your own driving habits, but it’s also an incredibly valuable resource to have if you’re ever falsely accused of speeding. This app can help you find cheap gas in your immediate area. It works by displaying the nearest gas stations and their price per gallon. If you find a cheap gas station on your own, it also allows you to enter it into the system and earn points for giveaways and prizes. This app is perfect for road trips or any time you’re driving in an area where you are not familiar with the local gas stations. These and other apps can make driving a lot easier, but it’s necessary to stress the fact that not all of them are safe to use while driving. If you need to search for a gas station or punch a destination into your GPS system, pull over in a safe location to do so. There is no point in using apps to help make driving easier if one of them causes you to crash while attempting to use it. Always be patient and remember that nothing is more important than your safety and the safety of others on the road.